Poor old RIM hasn't had much to shout about recently, but here's a neat little landmark; three billion apps have now been downloaded from the BlackBerry App World. The company has taken to its Inside BlackBerry blog to commemorate the occasion, saying it busts the myth that there aren't enough apps for RIM's smartphones and PlayBook tablet. The three billion total was reached in 1,172 days, which averages out at 2.5 million a day. However, the news RIM will be most pleased is the increased download activity, with the first billion downloads taking four times longer than the third. RIM wrote: "What's even more important – and impressive – is that the number of daily downloads continues to increase. It took 786 days to reach the one billion mark, 210 days to reach two billion, and only 176 days to reach the three billion number." The company also pointed out that it now has 90,000 applications up for sale. 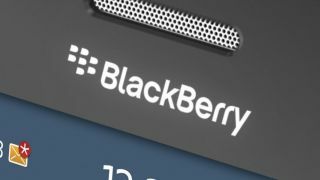 We're not so sure that this 'busts the myth' as BlackBerry users would still like access to Apple and Android numbers, but we're not going to begrudge RIM this bit of good news.